When dormant volcanoes are about to erupt, they show some predictive characteristics--seismic activity beneath the volcano starts to increase, gas escapes through the vent, or the surrounding ground starts to deform. 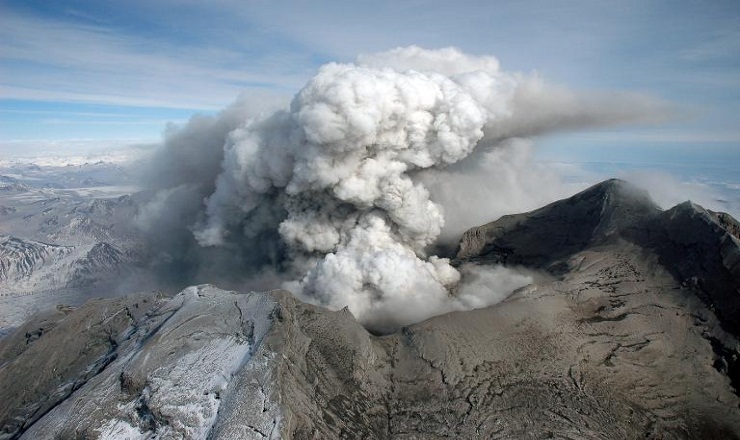 However, until now, there has not been a way to forecast eruptions of more restless volcanoes because of the constant seismic activity and gas and steam emissions. Carnegie volcanologist Diana Roman, working with a team of scientists from Penn State, Oxford University, the University of Iceland, and INETER has shown that periods of seismic quiet occur immediately before eruptions and can thus be used to forecast an impending eruption for restless volcanoes. The duration of the silence can indicate the level of energy that will be released when eruption occurs. Longer quiet periods mean a bigger bang. The team monitored a sequence of eruptions at the Telica Volcano in Nicaragua in 2011. It is a so-called stratovolcano, with a classic-looking cone built up by many layers of lava and ash. They started monitoring Telica in 2009 with various instruments and by 2011 they had a comprehensive network within 2.5 miles (4 kilometers) of the volcano's summit. "It is the proverbial calm before the storm," remarked Roman. "The icing on the cake is that we could also use these quiet periods to forecast the amount of energy released." The researchers did a "hindsight" analysis of the energy released. They found that the longer the quiet phase preceding an explosion, the more energy was released in the ensuing explosion. The quiet periods ranged from 6 minutes before an explosion to over 10 hours (619 minutes) for the largest explosion. The researchers were also able to forecast a minimum energy for impending explosions based on the data from the previous quiet/explosion pairs and the duration of the particular quiet period being analyzed. The correlation between duration of quiet periods and amount of energy released is tied to the duration of the gas pathways being blocked. The longer the blockage, the more pressure builds up resulting in more energy released. Sealing might be occurring due to mineral precipitation in cracks that previously acted as gas pathways, or due to the settling of the rock near the volcano's surface. "What is clear is that this method of careful monitoring of Telica or other similar volcanoes in real time could be used for short-term forecasts of eruptions," Roman said. "Similar observations of this phenomenon have been noted anecdotally elsewhere. Our work has now quantified that quiet periods can be used for eruption forecasts and that longer quiet periods at recently active volcanoes could indicate a higher risk of energetic eruptions." The paper's other authors are Mel Rodgers of Oxford University, Peter LaFemina of Penn State University, Halldor Geirsson of the University of Iceland, and Virginia Tenorio of the Instituto Nicaraguense de Estudios Territoriales.